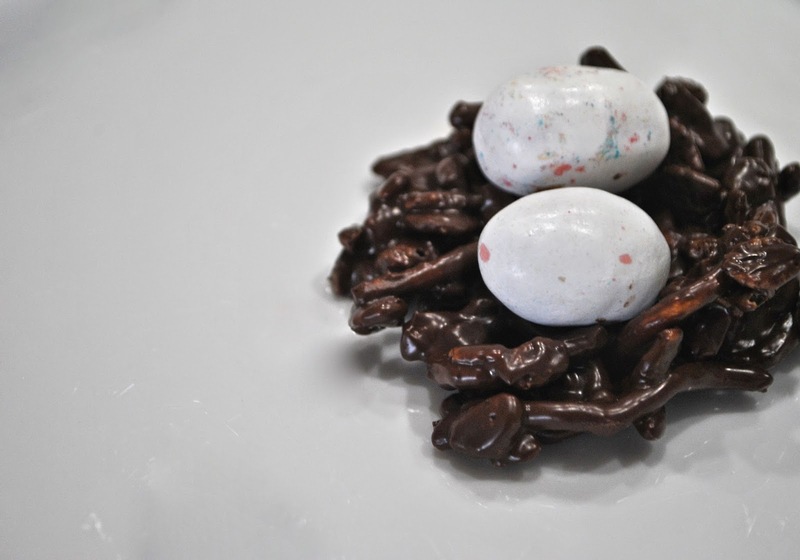 A sweet Easter treat – and fun for the kids! In a large microwave-safe bowl, combine chocolate and shortening. Microwave on medium, stirring at 1-minute intervals until chocolate is melted and smooth, about 2 minutes. Gently stir rice cereal and chow mein noodles into chocolate mixture until thoroughly blended. Drop chocolate mixture by heaping tablespoons 1 inch apart onto prepared baking sheets. Using the back of a spoon, make an indentation in each spoonful of chocolate mixture to form a nest. Place 3 eggs in each indentation. Place chocolate nests on baking sheets in the refrigerator, chill until set, about 1 hour.